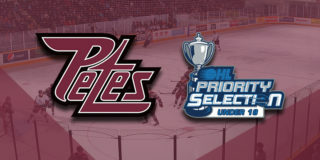 The Petes welcomed Peterborough native and deadline acquisition Owen Tippett and the Saginaw Spirit to the PMC on Thursday night. Coming off a win against Sarnia and following a short ceremony, which honoured Liam Kirk for his bronze medal in the Division IIA World Juniors, the clubs battled to the final minutes until the Spirit ultimately secured a narrow 5-4 win. 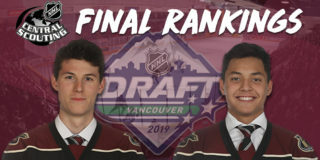 The Petes would open the scoring early as former Spirit Max Grondin got his first goal against his old team with assists from Chad Denault and Cole Fraser. Saginaw quickly jumped back to tie the score at 1-1 with a quick rocket from Cole Perfetti that went past Petes net minder Tye Austin. It wasn’t long before Peterborough took back the lead 2-1 with a shot from Cameron Butler that was brought to him by the combined sticks of Declan Chisholm and Semyon Der-Arguchintsev. The Spirit were the ones to tie this time with the period dropping to a close, in this case it was Cole Coskey assisted by DJ Busdeker. The opening period would end on a 2-2 tie with the shots on goal also tied at 13 each. The second was quiet for the first six minutes before Saginaw found a crack in Austin and took the lead by one with an unassisted goal from Justin Murray. Not long after the Spirit increased their lead to 4-2 as Nicholas Porco was assisted by Coskey. 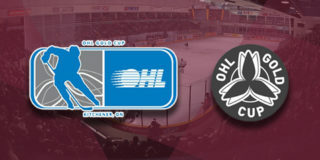 Peterborough would retaliate in the form of Ryan Merkley who, after stepping out of the box following an infraction, would be found by John Parker-Jones to bring the Petes within one. The third would see an early Peterborough goal to once again tie the score at four as Grondin found his second of the night courtesy of Denault and Chisholm this time. The Spirit would find their lead again with another Coskey goal assisted this time by the two former Steelheads – Tippett and Ryan McLeod – to make it 5-4 Saginaw. That’s where the score would sit as the buzzer sounded on the final period, giving Saginaw their fourth straight win and ninth in their last ten games. Final shots were 38–30 in favour of the Spirit. Coskey, Grondin, and Austin were named the game’s first, second, and third stars, with Chisholm named the Mark’s Hardest Working Player of the Game. 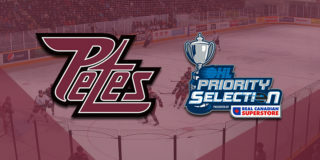 The Petes return next week for a rare Wednesday game on January 30 at 7:05pm to face the Hamilton Bulldogs.